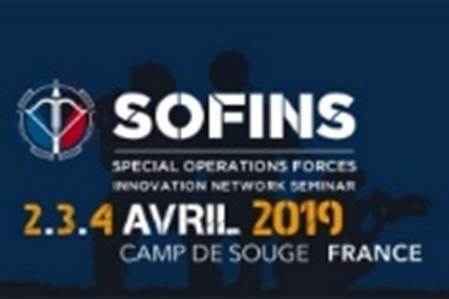 "Unique in Europe, this seminar is the key event for manufacturers and the Special Forces. It seeks to promote the scope of special operations thanks to the innovative spirit of micro, SMEs and large industrial groups. On the Souge base will be taking place meetings, R&D workshops, live testing of materials and equipment in realistic conditions, closely resembling operational conditions to enable Special Forces to try out the new technologies engineered by manufacturers to meet special operations requirements" (Source Le Cercle de l'Arbalète). 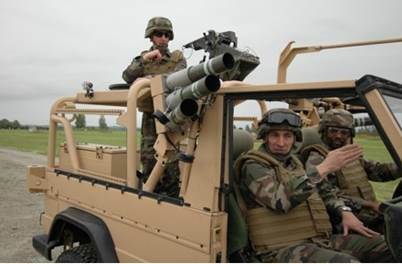 In cooperation with NEXTER Mun, and with the support of the armed forces and the DGA (French governmental defense procurement agency), LACROIX developed the Galix Soft Kill self-protection system to protect current and future vehicles against enemy threats in the visible and infrared (IR) domains. This self-protection system equips over 16,000 platforms (armored and non-armored) in France and abroad. 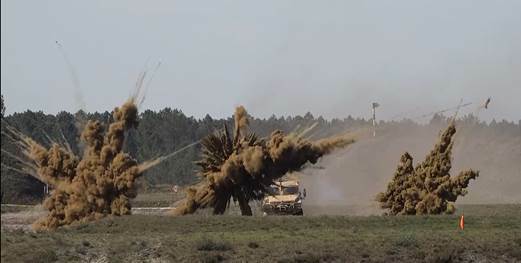 The system has evolved over recent years to allow the integration of various architectures and to provide new ammunition, which is specially suited to Special Forces' small vehicles according to the mission to be accomplished. The architecture varies from a basic manual solution to a more complex coupling of detection-reaction, which was formally presented during the Eurosatory 2018 defense trade show. Linked to the vetronic system onboard, the system automatically deploys on threat detection in accordance with preset rules, kinematic and environmental conditions. It suggests optimal evasive manoeuvers to the crew. Detection can include the Pilar sensor array by Métravib or a situation awareness system detecting lasers.